Manage your risk from anywhere in the world with our online, enterprise risk management software. Scalable and accessible from wherever you are, Protecht.ERM is suitable for all organisation types and sizes. Deploy and collaborate anywhere on risk and control assessments, compliance, key risk indicators, incident capture, audits and much much more. Your Risk Management needs are different from everybody else's. Watch the video to find out how you can easily make your forms dynamic with this flexible system. 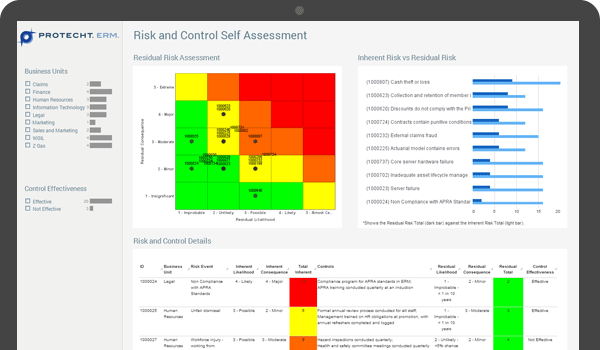 Protecht.ERM accommodates your risk assessment methodology and enables you to link back to the central risk event and control libraries. Risks can be assessed across multiple departments within your organisation and aggregated through reporting. Create and assign compliance attestations based on internal or external policies to relevant stakeholders within the business. Create, manage and track agreed actions plans. 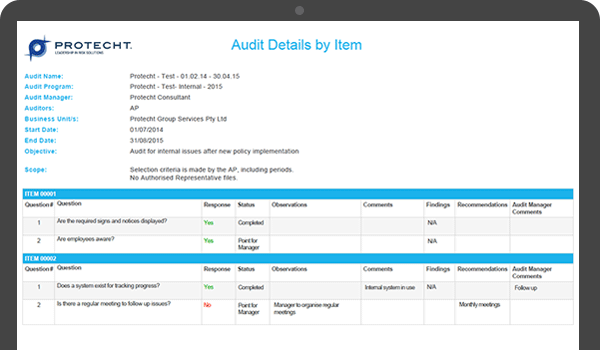 Monitor the progress of these actions through audit-trail. Perform internal audit and control assurance for any business area. Create and monitor agreed mitigation strategies. Create Key Risk Indicators to monitor risk trends and, in turn, create intelligent Key Risk Indicators derived from these simple indicators. 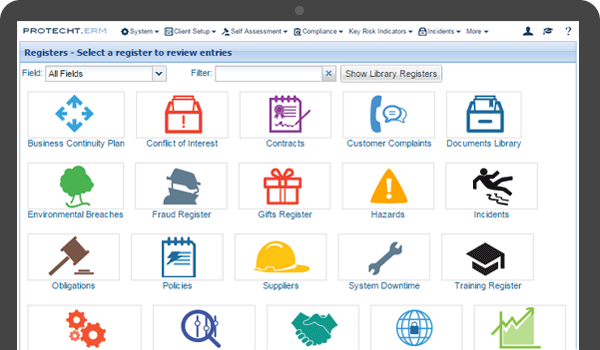 Access the complete suite of GRC modules. Suitable for the needs of all stages of risk and compliance management maturity. 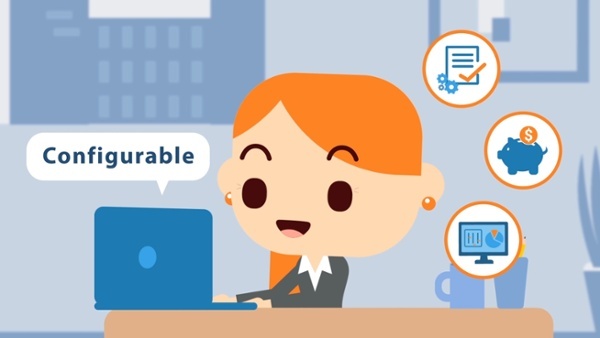 Automate notiﬁcations and alerts based on your business processes and rules. Consistent terminology through the use of user accessible libraries. Create multi-dimensional connections between data from different modules. Control the way your forms display by simple drag and drop design. Hard-to-match form ﬂexibility, and conditional rules. No coding required! Test design and operational effectiveness of controls. 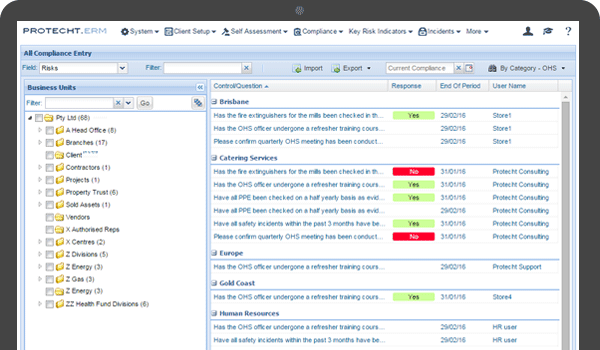 Manage safety hazards, WHS incidents and cases within a single system. Monitor and manage all interactions with external parties, from vendor selection through to contract management. 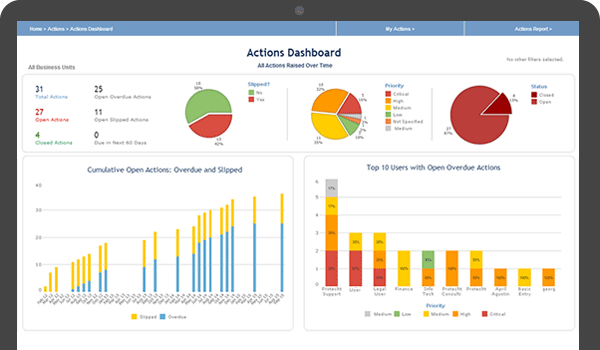 Quickly turn your data into visual dashboards and reports. The Business Intelligence tool enables users to build their own dashboards, reports and homepage. Migrate your data from other systems into your new forms with a click of a button. Ability to make high volume system updates with the click of a button. Send questions and aggregate responses from everyone in your organisation. Take your enterprise risk management solution with you on your own device wherever you go! Embedded plain English regulatory content with automated alerts and notiﬁcations, linked to risks, controls and compliance. 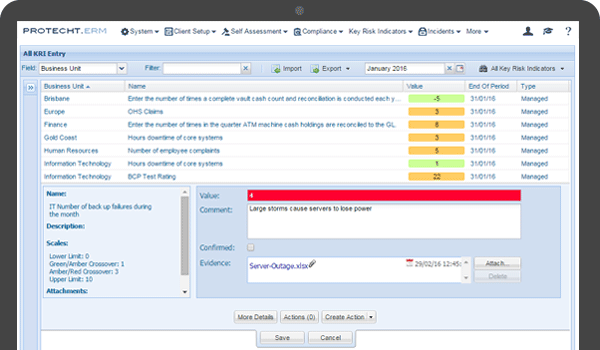 Manage any type of Incidents from notification to closure with links to risks and controls to enable process improvements. Ability to connect to other systems and data sources via APIs. Simple or complex external system integration into Protecht.ERM. Protecht Enterprise Risk Management Software 'Protecht.ERM', allows you to focus more time and resources on improving your bottom line, handling much of the routine work involved in managing risk, regulatory compliance, detailed stakeholder reporting and incidents / events. Flexible Methodologies - Protecht.ERM has the capacity for multiple risk methodologies and matrices, allowing for much greater flexibility in the implementation of the system. We can easily transfer your current risk framework from systems like Excel. Total Solution Offering - Full Service Company - As well as the software we have a successful and well-established risk and compliance advisory practice and a suite of risk and compliance training offerings. User Management - Roles and Permissions are extremely powerful tools for management of user access and functionality. Also, controlling data which individual users or group of users can access giving a very high degree of control in this critical area. 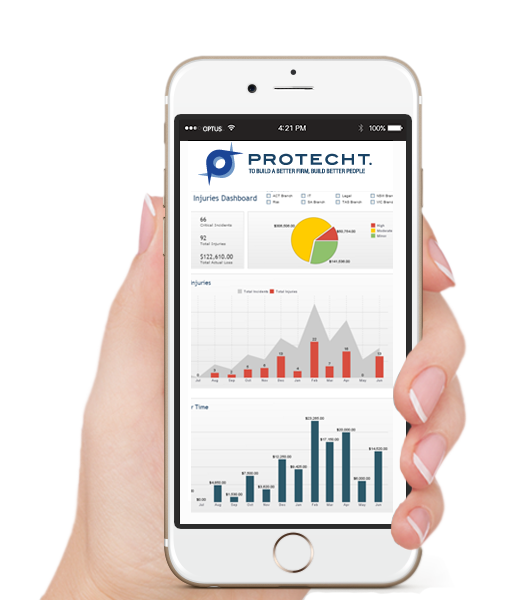 Protecht offers enterprise risk management solutions easy to manage and easy to share. Adaptability and Ease of Deployment - Protecht.ERM is designed to be configured by clients and does not require heavy reliance on Protecht for ongoing tailoring and configuration. This provides a more adaptive and flexible environment to more closely match our clients’ evolving requirements whilst remaining cost effective. One of the top corporate retailers in Australia, operating leading leisure brands such as Rebel, Amart Sports, BCF, Ray’s Outdoors and Supercheap Auto, explains how they have generated significant performance increases at the customer coal face after rolling out Protecht.ERM. 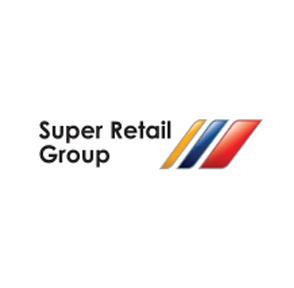 Learn how Super Retail Group is using our enterprise risk management solution.